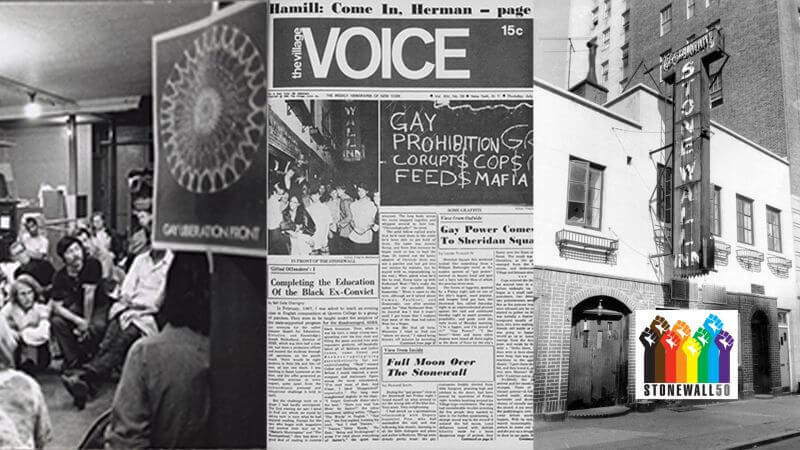 June 2019 marks the 50th anniversary of the Stonewall Uprising, three nights of rioting at an historic gay bar in New York’s Greenwich Village that is widely viewed as a turning point in the modern fight for LGBTQ civil rights. The Center on Colfax is marking this important historic anniversary with a series of free exhibits and events exploring this history and impact of that historic night long ago. And, of course, Denver Pride will celebrate the anniversary with a series of events and our annual festival and parade on June 15-16 in downtown Denver’s Civic Center Park! 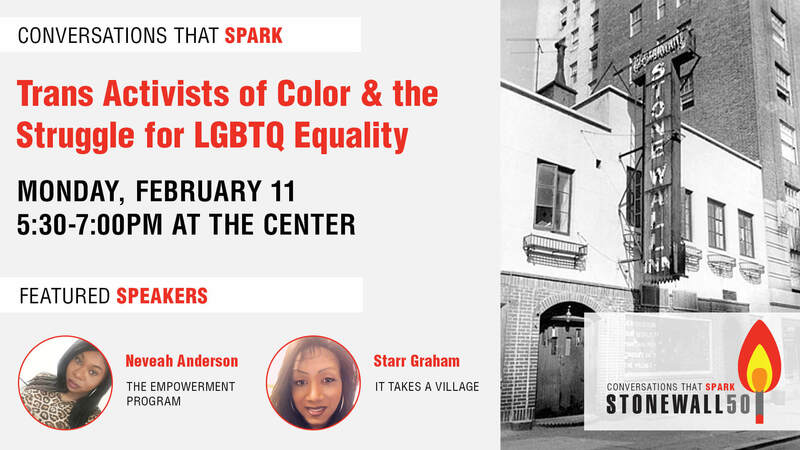 Stonewall 50: Conversations That Spark is a series of free, monthly panel discussions meant to explore the legacy of activism that grew from the spirit of the riots at the Stonewall Inn. Topics are developed with input from community members and are open to the public. “Trans Activists of Color & the Struggle for LGBTQ Equality” will explore the legacy of trans activists of color within the movement for LGBTQ liberation, as well as amplify the work local trans people of color are currently doing in our community. This panel will feature local black trans activists discussing their vital work, the issues they see as important to the trans community, and actions that all LGBTQ people and our allies can take to support their endeavors. 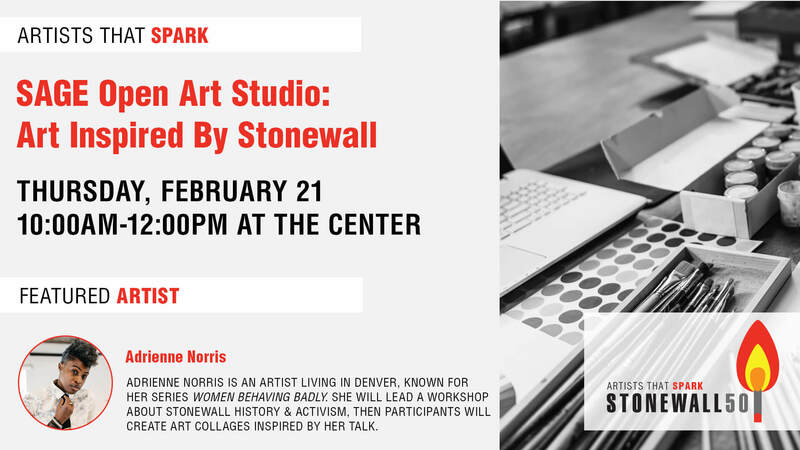 Join artist Adrienne Norris at the SAGE Open Art Studio: Art Inspired by Stonewall to help create artwork inspired by the 50th anniversary of the riots at the Stonewall Inn and the LGBTQ civil rights movement. 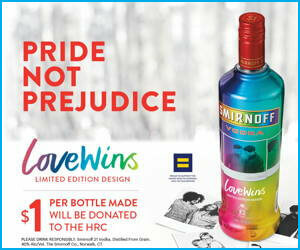 Adri will lead a quick workshop about the history of the Stonewall riots and how the events influenced LGBTQ activism. Be inspired by what happened and the people involved. The Center will provide all materials for the workshop. Make sure to sign up for our newsletter for the latest updates on the Stonewall 50 project and all things Denver Pride! We’ll be adding more community discussions and opportunities for artists to get involved all year long.